That is incredibly beautiful, great work! *whistles *them must be some expensive markers... very well done! The eyebrow won't go that low, especially not when the skin isn't even bending with. So pretty. It looks awesome! It looks like it isn't done on marker paper? 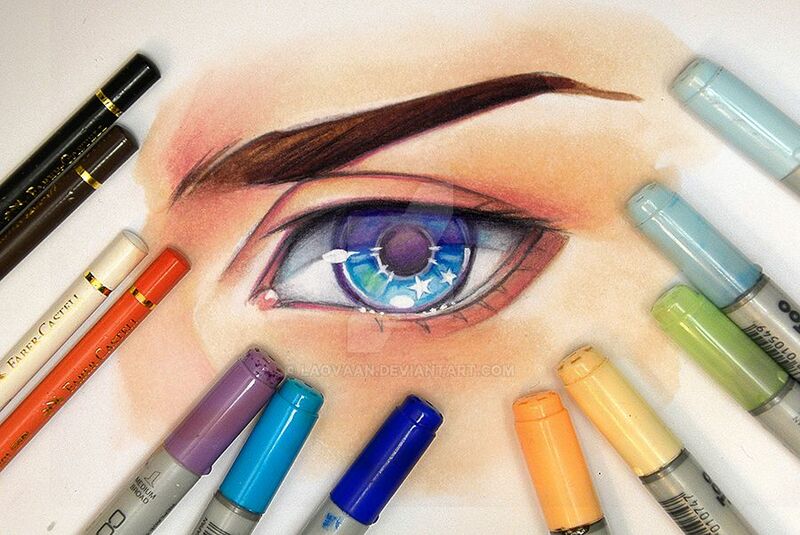 Did you do this using only copic markers? I've recently bought some copics and I'm trying to figure out what sort of stuff I can do with them and how they work. Any advice/tips? That is sosososooooo pretty and cool! How can you do it!